This software provides the first step in a simulation where nondestructive testing of dielectric samples is modeled. It calculates the reflection coefficient of multilayered dielectric samples in a wide frequency band. The geometry of the sample, the properties of its dielectric layers, and the frequency grid and noise are specified by the user. 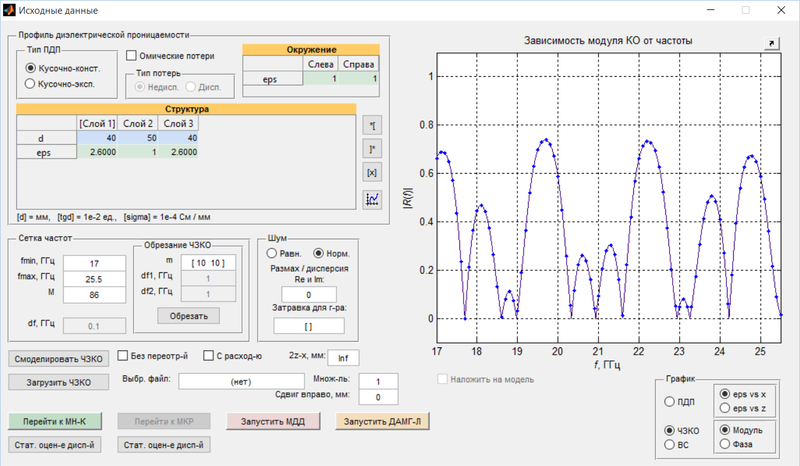 The output data can be passed for further processing in order to extract the characteristics of the original sample based on its reflection coefficient.